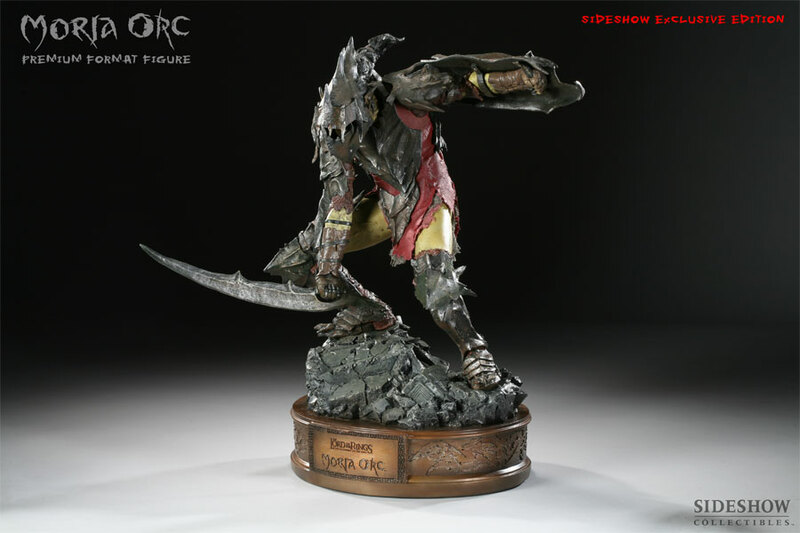 After all these years, I finally added the Sideshow Moria Orc PF EX to my collection. It really is amazing in person! Wow, what a great find Ithildin . Congrats. Awesome acquisition! Very underrated piece. As are all the Sideshow LOTR PF’s for that matter. Probably their best use of the mixed media format in the companies history. Shame the license wasn’t maintained longer. Yeah, lots of collectors took issue with that. Though I would’ve preferred the darker color they solicited I wasn’t as bothered by the brighter red as most. Unless it’s in harsh lighting the contrast isn’t so great. I was so very happy to finally get it. I missed picking him up when SS released him due to the cost of raising a family and all the accompanying bills at the time. I have regretted missing him for a long time. You know, the red color of mine is not distracting at all. It seems to be a muted red and I think looks really good on the piece. Lighting is going to be key for bringing out all the terrific detail on this. Last edited by Ithildin; 19th April 2019, 15:51.